WASHINGTON -- Volkswagen reached an agreement in principle with U.S. authorities to address the roughly 482,000 2.0-liter diesel VW and Audi vehicles with software designed to mask excess emissions in lab tests. A U.S. judge announced in a court hearing on Thursday in San Francisco that VW has agreed to offer affected owners several options, including a buyback, lease cancellation and -- pending additional government testing and approval -- the option to have their vehicles modified. The deal will also include “substantial compensation” for the affected owners regardless of which option they choose, U.S. District Judge Charles Breyer said. VW has also agreed to establish a fund to remediate environmental damage caused by the excess nitrogen oxide emissions released by the affected vehicles as part of the deal, Breyer said. VW also will be “required” to commit funds to promote green vehicle technologies, he said. In a statement, VW called the tentative agreements an “important step” towards “making things right” and that it is “committed” to earning back the trust of customers, dealers, regulators and the public. While many details must still be resolved, the agreement marks a major step towards resolving VW’s emissions violations have consumed the company since they became public last September. 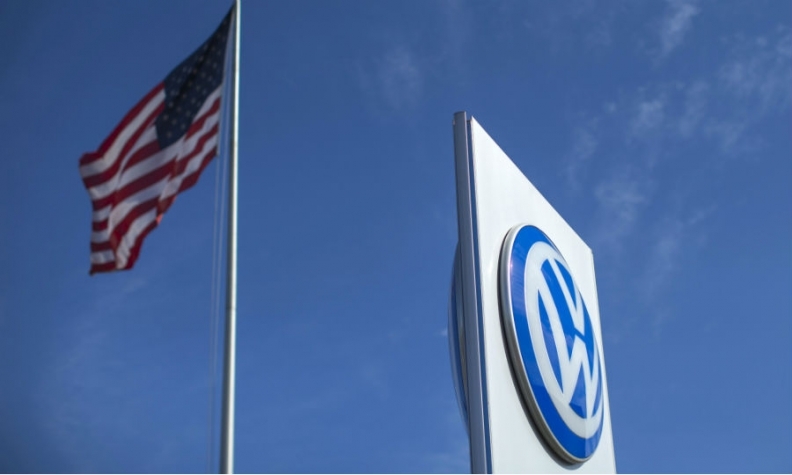 In a statement, VW AG said the agreement in principle will be the basis for binding consent decrees to resolve civil claims from the U.S. Department of Justice and the Federal Trade Commission. The deal does not affect the Justice Department’s ongoing criminal probe into VW’s actions, nor does it affect the ongoing investigation of state attorneys general, the company said. The company has also agreed on “the basic features” of a deal to resolve the many class-action lawsuits filed against the company by affected diesel owners. Those basics will be incorporated into a “comprehensive settlement in the coming weeks,” VW said. The tentative deal was reached after weeks of intense negotiations between VW, the U.S. Department of Justice, California’s Air Resources Board, the EPA, FTC and attorneys representing U.S. owners of VW diesels who have sued the automaker over the emissions scandal. The talks were steered by former FBI Director Robert Mueller as the court-appointed settlement master. The deal does not apply to about 80,000 3.0-liter V-6 diesels used in VW, Porsche and Audi models. A resolution on those vehicles has yet to be agreed upon. It’s also unknown how much VW will have to pay in government fines for the emissions violations. Breyer said he expected the parties to work “expeditiously” to resolve those outstanding issues. During the hearing, Breyer admonished attorneys representing the involved parties to maintain confidentiality about the tentative deal after some details were leaked to media outlets on Wednesday. He issued a gag order until the parties finalized a consent decree containing the full details of the agreement, which must be submitted to the court by June 21. The consent decree will be made public and is subject to public comment and court approval prior to taking effect, Breyer said. Based on the court schedule outlined today, the earliest buybacks would begin is likely in July. Outside the courthouse, Joyce Ertel Hulbert, owner of a 2015 diesel Golf station wagon, held up a sign reading "Invested $30,000, worth $00,000. Buy it Back!" "They're not doing enough," she said of VW. Environmental and consumer groups said they are not convinced the deal goes far enough. "Without strict penalties, and without fixing or removing the polluting vehicles, people will continue to breathe dirtier air, consumers will lose faith in watchdog agencies, and manufacturers will believe they can endanger our health without feeling the full consequence," the Sierra Club environmental group said. New York Attorney General Eric Schneiderman said the deal "does not in any way resolve the consumer and environmental penalty claims of the states, or the states' claims for injunctive relief."